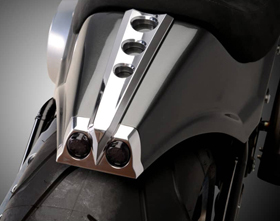 Our 240 / 250 tire motorcycle swingarm kits are bolt on replacements for the stock Harley Softail swingarms and they enable you to mount a 240 or 250 tire on your stock Softail without doing any modifications to the frame. 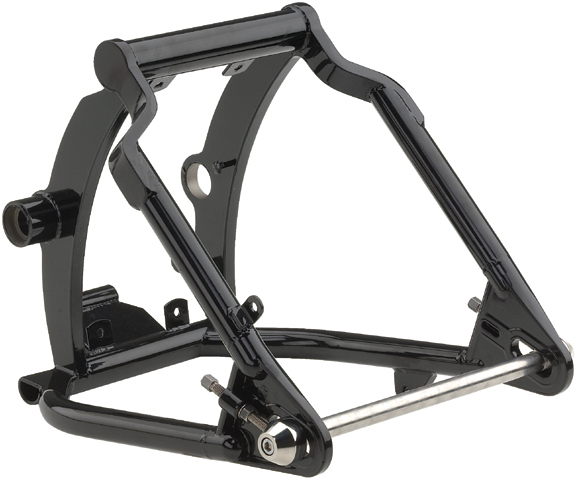 This wide swingarm can fit up to 9” wide rims. For clearance needs they must be installed in conjunction of aftermarket rear calipers and brackets. 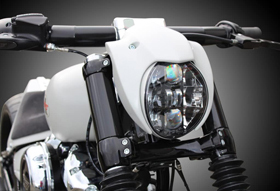 Thanks to these innovative motorcycle swingarm kits you will be able to mount a super-wide rear tire, without any modifications to your stock frame. Different 240 / 250 wide tire kits are available for Harley Evolution Softails and Twin Cam Softails and include all necessary hardware to offset the primary. 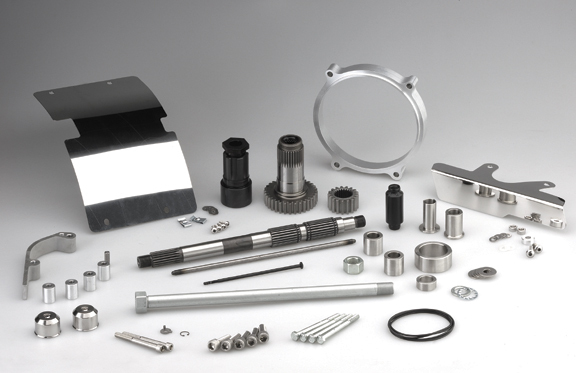 Thank you for your interest in Eurocomponents’ motorcycle swingarm kits for Softails. Kit includes motorcycle swingarm and all necessary hardware to offset the primary. Hey . I have a 2014 fat boy lo looking to put a 240 kit on the back end does your kit come complete with stone guard ,fender , struts , eg complete unit .? All bar painting ? Price ? Kit includes black powder coated motorcycle swingarm and all necessary hardware to offset the primary. Rear fender and fender struts are not included. 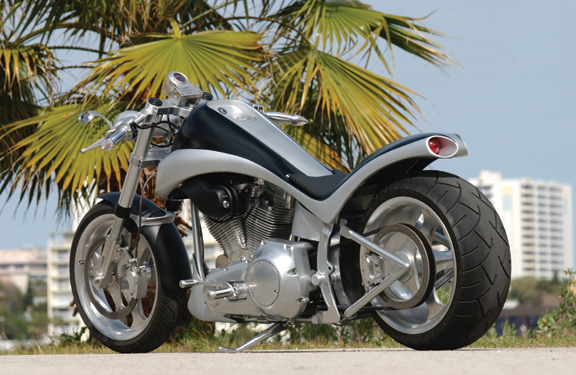 Sorry, but none of our swingarms can fit your Bourget chopper softail. As far as I know Bourget was making his own frames and swingarms and I doubt any aftermarket ones would fit. What aftermarket brakes fit with your kit, bike is a 90 softail. Any aftermarket caliper will work just fine, since they are smaller than stock Harley calipers. For example calipers by Performance Machine, RC Components, Arlen Ness, will work OK. Yes, we can make the swingarm and offset kit to fit your 2016 Harley Fatboy S, no problem. Besides the swingarm and offset kit, you will need a new fender, new wheel and tire. Hello, I have a 02 softail standard and want to run a 240 to 250 tire on it, do you have everything I need to accomplish this task ? I want the convertion plus all parts to do the job right and a finder with struts and seat that fits on it. Can you please email me with any help so I can get this go ASAP. Thank you for your time I look forward to your email. 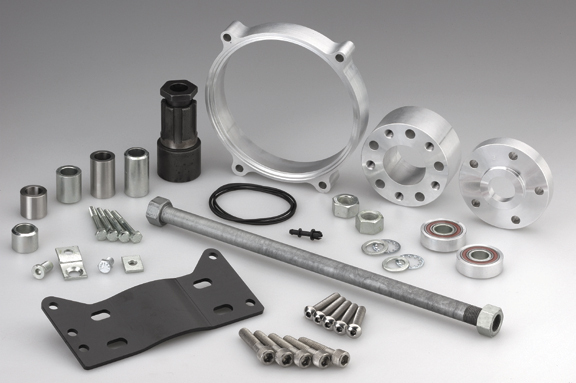 We can supply swingarm, offset kit and wheel. We do not sell the rear fender you would need and we do not sell seats or tires. Dose the swing arm come power coated or painted, can you give me a quote for the kit? I’m looking to get this ordered ASAP! No wheel needed, I will get my own. how much is the swingarm and offset kit for my 2016 Fatboy S, should I change the brake caliper? I have already have the RSD rear fender is it ok for the 240 rear wheel? You can keep the stock Harley caliper, but please specify it if you decide you want to order the kit. You would need to check with RSD if your fender can fit a 240/250 tire. Do you have a fat tire kit for this model? This is a special order item and you would need to place the order over the phone. I need a 250 swingarm ONLY for a 99 soft tail, just was wondering about a price just for that part. Sorry, but we do not sell swingarms alone, only together with our offset kit. We will write an email as requested. Yes, we can make the 240 / 250 tire swingarm kit to fit your 2010 Harley Fat Boy. I have a fatboy 2007 and would like to move to wide tyres something in the rage of 300mm at the rear and 240 in the front. Could you suggest any kit to do the same and also the cost involved including shipping to the UAE. 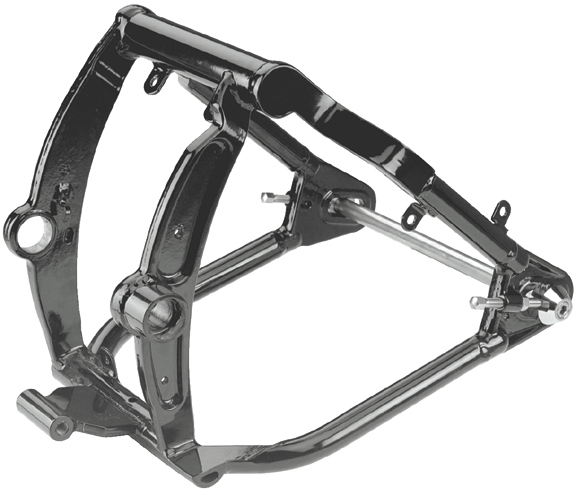 Yes, we can make the 240 / 250 tire swingarm kit to fit your 2002 Harley Deuce.